from duffles to drawers : Moneypit Monday: Picture This! In this little world of blogging that I've found myself in, there are many people I follow who have a weekly or monthly theme. I've never been one to follow the crowd, but I couldn't resist with this theme. 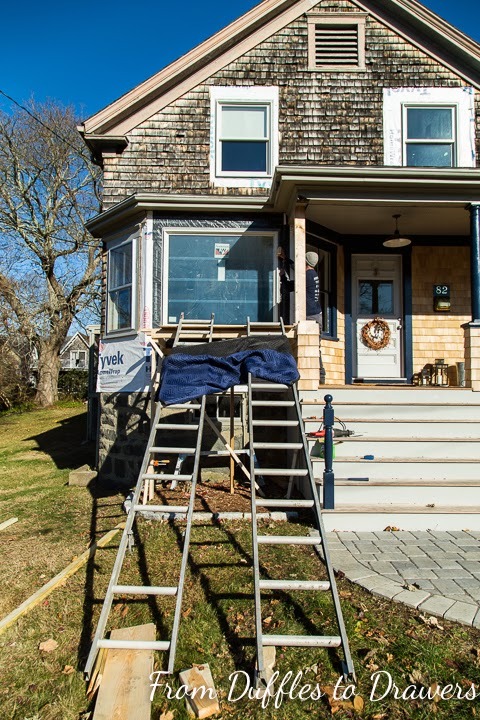 It is so fitting of our house…in fact, it is fitting for most old, fixer-upper, dream inspired houses. 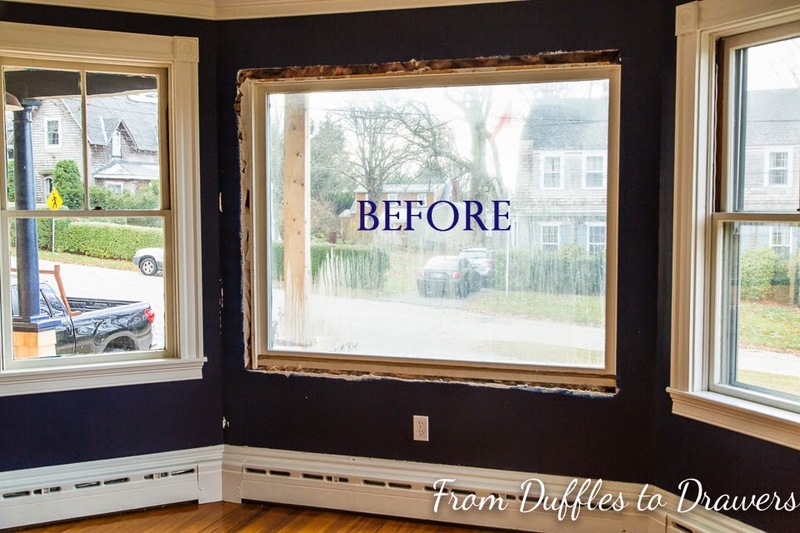 If you are a homeowner and have ever watched the 1980s movie "The Money Pit" with Tom Hanks, you know what I am talking about! 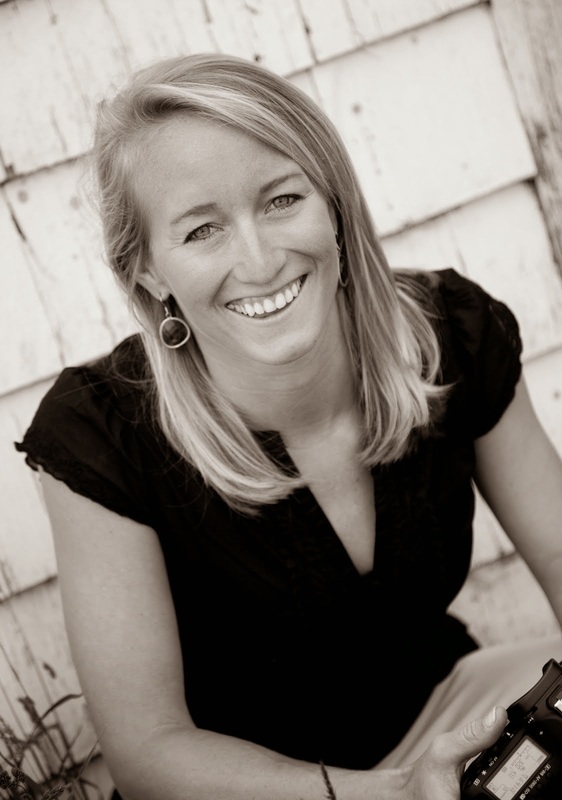 Today I am starting my first post in the new "Moneypit Monday" series. And what better way to start than with our new picture window! This was one of the very first BIG ticket items we knew needed replacing when we moved in 1 1/2 years ago. The view of Middle Ave & the sea from our house are gorgeous, but not with those streaks & smudges! Somehow it kept getting placed further and further down on the priority list. 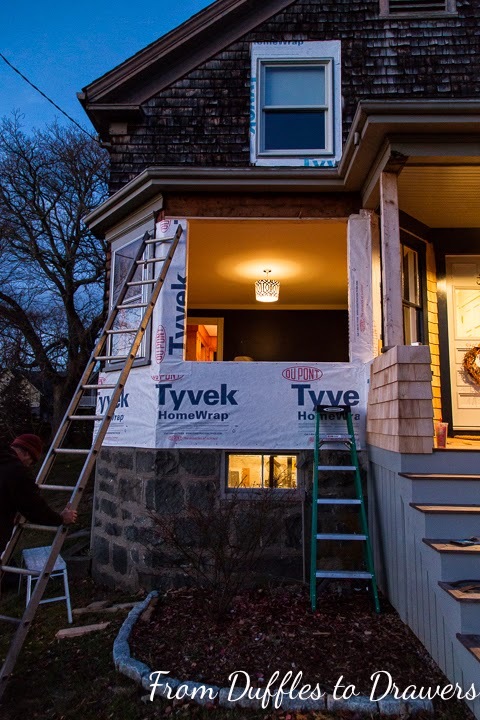 We assumed the window would have to be custom built and would cost a fortune. Right after the wedding, we decided to bite the bullet. I called around, came up with some decent quotes, but nothing great. In one of our weekly trips to Home Depot, I found Andrew in the back talking to the window people. Good news! Our favorite of the Home Depot windows, the Anderson 400 series, had a picture window our size: 67"x60", with a 4 week lead time. We have put 6 other Anderson 400 windows in the house and have been really happy with the quality and price. It was ordered that day and we even got a 10% discount. Good news indeed. For all you New Englanders out there, you know that 4 weeks makes a drastic difference in the weather. 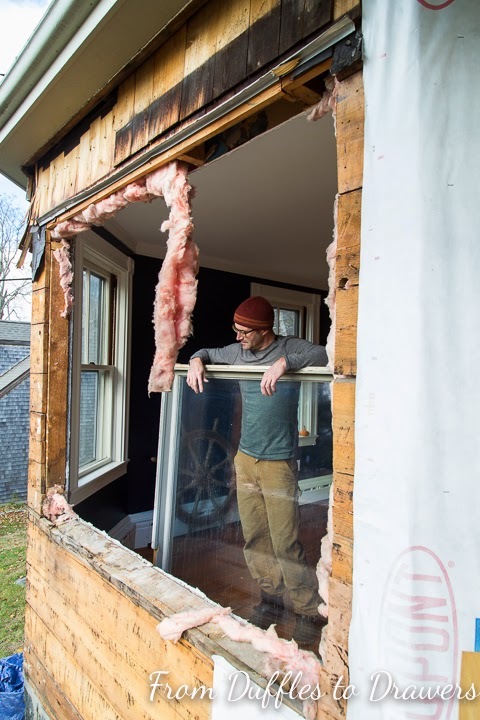 So as you can imagine, by the time this pretty window came in, it was November and temperatures for installing windows were not ideal. But, Andrew and I trudged forward Thanksgiving weekend and got our hands dirty. It would seem to be such an easy project. 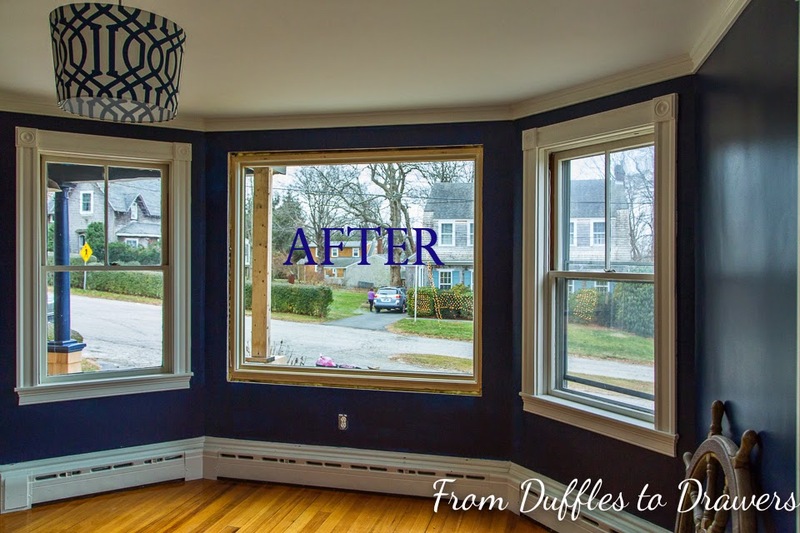 Take old window out, put new window in. But as all money pits go, this is never the case. 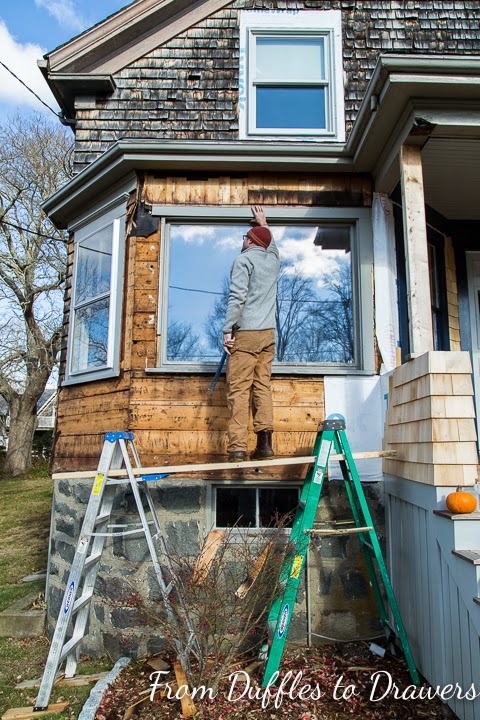 After all the shingles were removed from the window's exterior, we started to remove the boards surrounding to get better access to the window. Come to find out, there was NO framing. At all. The window was basically held in by the interior wall where they had put extra plaster to "hold it in". 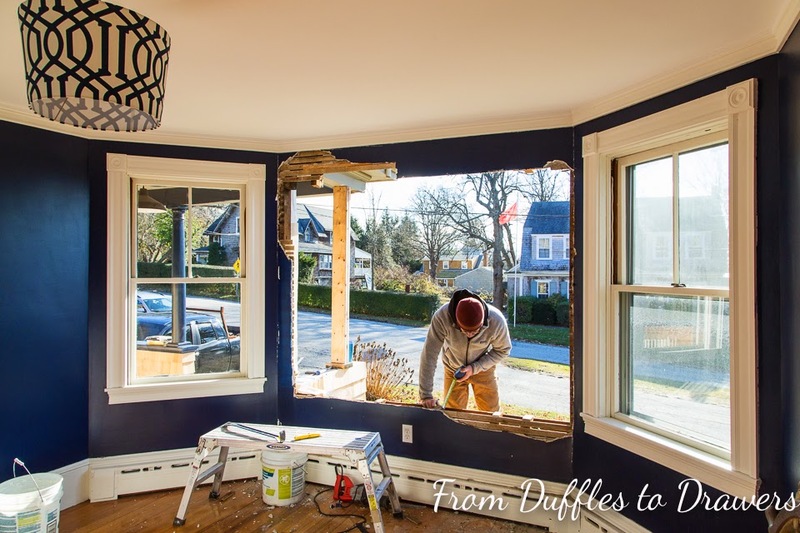 So in taking out the old window, we also took out part of the interior plaster wall. Good times. 5 hours later we had a 5ft. x 5ft hole in our living room, with 30 degree temps, a new frame from the new window, tyvek & weather shield on the exterior. To finish it off, we insulated with foam sealant, put lath back up on the walls, then sheet rocked & mudded the partial wall. Thanks so much Amanda! It's always so great to get your encouraging and kind comments. We are definitely in the same boat:) Cheers! Recipe Roundup: Ultimate Comfort Food!